What timing. 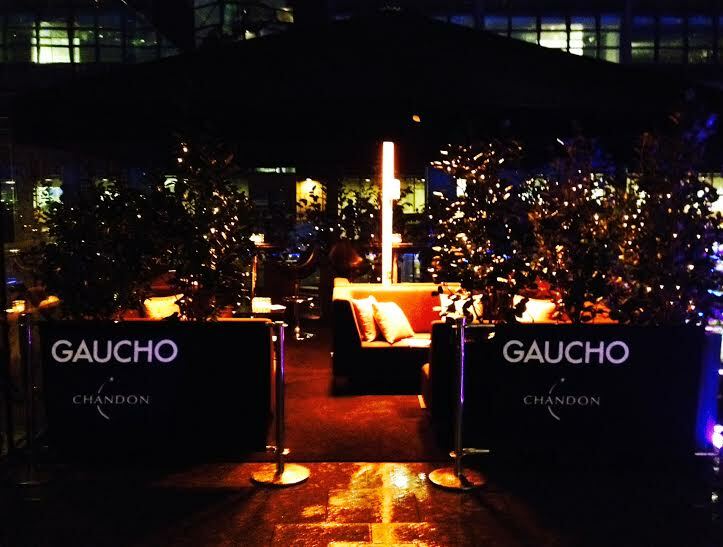 The Hoodooist runs through the rain with an umbrella that is dying on him to Gaucho Broadgate’s launch of their Winter Terrace. Curious to see how the outdoor terrace stands the downpour, he shakes some of the rain off and fell in love. Mind you, it’s tiny. If you can book a space, do it. But on a cold rainy day, I can’t say I’d be anywhere else than under that canopy with the scorching heaters, snuggled in the couches with friends and the blankets and hot-water bottles Gaucho provides. Yes. Blankets and hot-water bottles. Entirely enclosed by plush ferns and twinkling lights, this city centre oasis offers a wintery haven complete with a stunning hand-carved ice sculpture. Wanna make that deal sweeter? How does a Hennessey Hot Chocolate sound? Hennessey fine de cognac, chocolate liqueur, hot chocolate. It ain’t inspired, but it’s what you need. Served in a tall tumbler with chocolate shavings, it defines the venue for being a warm snuggle-haven as the rain pours down just inches away from you behind the thicket of bushes. Two more hot cocktails on the menu: the first is the traditional Hot Toddy; Glenmorangie 10yr whiskey, fresh lemon, honey, orange marinade and cloves, though still a good hot drink, remind me too much of having the flu to really get into. What really did the job for me was the incredible Hot Smoked Apple; Belvedere Vodka, fresh pressed apple juice, a touch of Ardbeg 10 yr, and a cinnamon rim. Hot apple and cinnamon is always a good winter warmer, the vodka giving it the right alcohol content and that warmth of the whiskey is just right to not overpower. A favourite of the night. Two cold spritzes were presented as well. The Spritz Rose mixes Argentine sparkling Rose with Torrontes white wine, elderflower and blackberry liqueurs. This was very well balanced, sweeter yes, but the blackberry helps mellow down the elderflower rather well – the preferred of the two spritzes. The second is the Spritz Blanco, Sauvignon Blanc/Torrontes, Aperol and fresh grapefruit juice, topped up Domaine Chandon; bit heavy on the grapefruit, this drink wasn’t a winner across the table, but one you can work with. 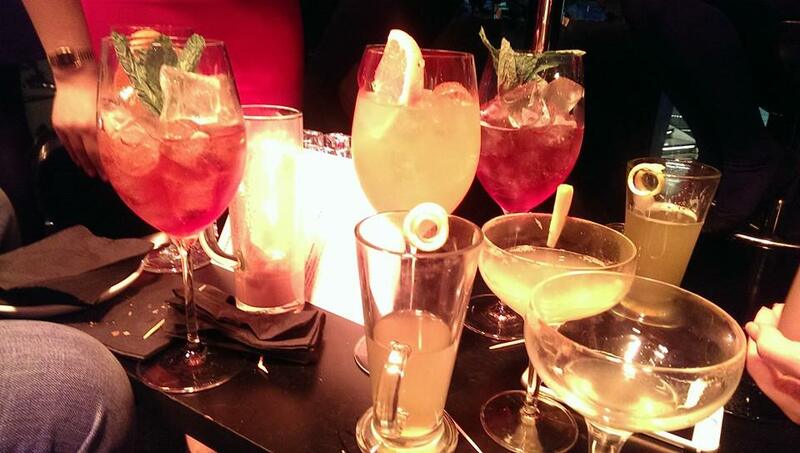 Drinks here are approachable and nothing too complex, but very well executed, and all at about 10 pounds. A carefully chosen selection of Argentine wines is also available. Besides that, the food served – spectacular. Canapés of rare steak, ceviche, sliders, and dulce the leche cheesecake made the night. Service was polite and swift, and I must applaud Red Kite PR for a wonderful launch. I have to say, if there is anything to try this winter, it is this. This entry was posted in Bars & Cocktails, Gastronomy and tagged Bar/Restaurant, Food, Pop up, Rainy days, Small Groups, Terrace, Tiny, Winter.